The crown jewel of grilled cheese restaurants. Melt came to be at the start of the grilled cheese niche trend began to rise back in September 2006 in the Lakewood neighborhood. The well-known local chain started on one man’s love for craft beer and grilled cheese sandwiches and has become one of the great dining options in the Cleveland area. 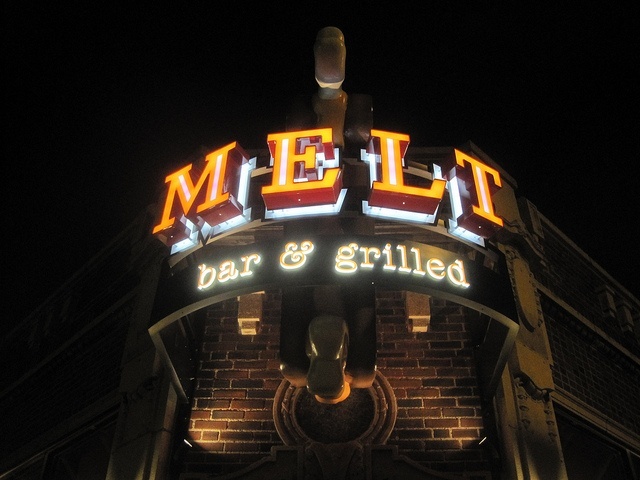 Melt is one of the most notable local chains in the Cleveland area. Ask any Clevelander if they’ve been to Melt, and they will most likely follow up with a big “Yes!” and probably what their favorite sandwich is. With it’s fun holiday-themed decor and artwork everywhere, it’s no wonder why people become regulars so fast. Cleveland has become one of the biggest cities for craft beer, so it’s no surprise that part of Melt’s massive success stems from craft beer sales. Part of the appeal of Melt is that even though it’s a chain, each location is a little different. The beer and wine menu varies from each location, keeping the best local beers and wines available all year round. They also offer great cocktails at all locations like the “PEEAAACH” (Smirnoff Peach, peach nectar, housemade grenadine, ginger ale), the “BIG BOY” (Bulliet, Kahlua, Licor 43, fresh brewed coffee and topped with whip cream and chocolate syrup), the “BIG GIRL” (Bailey’s, Kahlua, Amaretto, fresh brewed coffee and topped with whip cream and caramel syrup) and tons more! While the drink menu is impressive, the real reason people make the trek to Melt is for of course the grilled cheese! Their menu has something for everyone. Everything from the “Mom’s Meatloaf Dinner” (Homemade meatloaf, chipotle ketchup glaze, mashed roasted garlic redskin potatoes, muenster) down to the “Kindergarten” (Fresh baked bread, choose your favorite cheese). Melt prides itself on having a lot of local options like the “Parmageddon” (Potato & onion pierogi, fresh Napa vodka kraut, sautéed onions, sharp cheddar), “Cleveland Cheese Steak” (Flavorful braised pulled beef brisket, garlic mushrooms, sautéed onions & peppers, rosemary onion aioli, provolone) and “Lake Erie Monster” (Crispy battered jumbo cod, sweet slaw, American, jalapeño tartar sauce). A great local sandwich that can be paired with a great local brew! The menu features more than just sandwiches and drinks though — they also offer soups, salads and appetizers. They even have the “Half Combo” that features half of the Kindergarten sandwich, a cup of soup (served in an actual mug) and a salad all for just $10. Some of the soups they offer include the grilled cheese side essential, “Roasted Garlic Tomato” (Rich house soup topped with cheddar, romano & scallions), of course. Other choices include “Buffalo Chicken Chowder” (Creamy spicy soup with pulled chicken, blue cheese, celery, carrots & banana peppers) and the “Vegetarian 4 Bean Chili” (Hearty & spicy chili topped with cheddar, sour cream & scallions). Melt is the one restaurant that you know you can rely on for a great lunch or dinner. 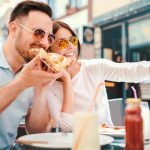 The food is always great, with tons of options everyone can enjoy. Adventurous eaters, Plain Janes, vegetarians, vegans and kids can all coexist peacefully around one table at Melt. Stop in at the original Lakewood location at 14718 Detroit Avenue Lakewood OH 44107. Call the restaurant at: 216-226-3699 or visit their website to see which location is closest to you.